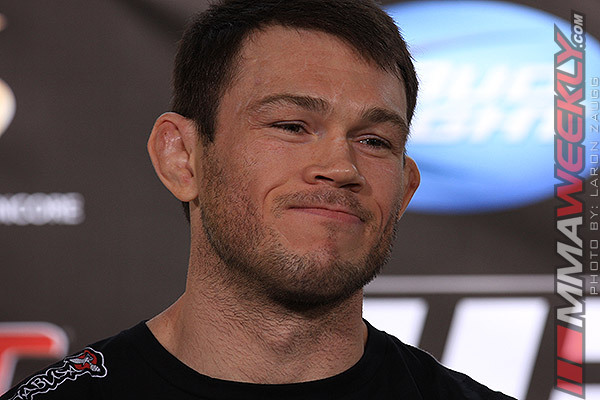 Former UFC light heavyweight champion and original Ultimate Fighter Forrest Griffin has been on the sidelines since late 2012 with an MCL and ACL injury. He and UFC president Dana White announced his retirement at the UFC 160 post-fight press conference on May 25. “I was (expletive) all over him to retire. I wanted him to retire,” said White. It took some plodding and pleading, but White said he was finally able to convince Griffin a couple months ago that there was really little left for him to accomplish. He could step away from the Octagon, but still have a future with the UFC outside of fighting. And although the decision was made, it took this long to coordinate schedules and finally make the announcement. It was as much a matter of convenience as anything. With UFC 160 taking place in Las Vegas and Griffin residing in Sin City, it just took a phone call from White to get Griffin to the press conference and make the announcement.